This company is the original action sports footwear and apparel company that was founded in 1966 by Paul and James Van Doren, Serger Delia, and Gordon Lee. They pride themselves on their ingenuity and strive to provide exceptional customer service. You can find Vans jobs on their website and, if this sounds like a good career fit, submit your Vans application. The company was founded in 1966 and on their first day, they had twelve orders. The only problem was that all they had was display models. They told their customers to choose the style and the color of their shoes and they would be ready to pick up by end of business. Once the customers came back for their orders, the owners realized that they had not maintained a cash reserve for change. They let the customers take the merchandise and asked them to come back the next day, and all twelve customers did. Today, the company has more than 250 stores within the United States and sells its’ goods in more than 70 countries worldwide. Their company Headquarters are located in Cypress, California and they are a brand of the VF Corporation. Their history shows their commitment to customer sales and service. As it was 49 years ago, that commitment still drives their business today. How to apply for Vans online is easy. Find the link located under the Job Links section, peruse the different Vans jobs that are available, then fill out the Vans application. The company has many positions within the stores. Those positions include Sales Associate, Floor Supervisor, Stockroom Supervisor, and Assistant Manager. Starting hourly wage is above minimum and job growth is a possibility. There are also Vans careers available at the corporate level. Some departments that these positions are available include Apparel Design, Human Resources, Loss Prevention, and Operations. They offer a competitive yearly salary, company paid flu shots and alternative work schedules with shortened Fridays. This company offers a comprehensive package to both store workers and corporate employees. Some these benefits include medical, dental, and vision insurance, tobacco cessation program, and 401k with company match. Flexible Spending Accounts for health and dependent care, company holidays, sick pay, and 50% discount on merchandise is also available. 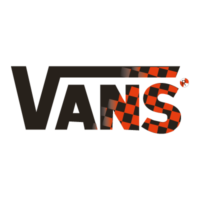 A printable application for Vans is not available for download. However, if you wish to apply for jobs at Vans in person, you will want to contact your local store as hours of operation vary by location. Otherwise, you can apply for Vans jobs online. Sales Associate – The Sales Associate is expected to provide excellent customer service by greeting the customer, fitting and measuring, and assisting with meeting the customers’ needs. Other responsibilities include maintaining a clean and well-presented store, replenishing stock levels, and assisting with proper sales promotional setup. Floor Supervisor – The Floor Supervisor will take on a leadership role in the absence of the Assistant Manager or Store Manager. The responsibilities include managing sales, customer service, and maintaining store standards. Other duties include assisting with payroll, motivating associates, and adhering to company policies and procedures. Stockroom Supervisor – The responsibilities of the Stockroom Supervisor include ensuring that all merchandise has been stocked on the sales floor and that the stockroom has been properly setup. Other duties including making sure the proper shipping and receiving procedures have been utilized and assisting with training stockroom personnel. Assistant Manager – This is a supportive role to the Store manager and will be responsible for helping with business strategy, customer engagement, and fostering a positive work environment. Other duties that the Assistant Manager are responsible for include supporting the Store Manager to ensure effective customer service, maintains and enforces policies, procedures, and standards of the company directives, and trains and develops new team members. The following examples are routine questions found when interviewing for a position in the retail industry. Why do you want to work in this industry? This is a good time to explain what you are passionate about and what drives your focus. Can you tell me a bit about yourself? Many candidates think this means that the hiring manager wants to know about your life history. This is a mistake that can cost you the job. Instead, focus on your strengths, hobbies, and volunteer work that you have accomplished. Why do you want to leave your current position? Leave out anything negative thoughts that you may have towards your current or previous employment. Instead, focus on your goals and you would plan to achieve while working at this company. If a customer comes in to return a product that we don’t sell, how will you handle it? Sometimes, the interviewer will throw a question at you out of the blue just to see how you handle a stressful or unusual situation. Other than being rude to the customer, there really isn’t a right or wrong answer. The application process starts with the preparation before you actually do the application. Some of the preparation includes researching the company and making a list of questions about the company and the position. Other preparations include updating your resume and making sure that you leave yourself an ample time slot to complete the application. Once you have completed your preparations, it’s time to fill out the application. Read all instructions carefully as applications can vary from company to company. Make sure that your application mirrors your resume and be prepared to take a couple of assessment tests once your application is complete. Dress more formally for your interview than you otherwise would. It is recommended to have a professional appearance including being clean shaved or trimmed, having your hair out of your eyes, using natural looking makeup, and minimal jewelry. Avoid distractions by turning off any electronic devices before entering the building. Make sure you introduce yourself to the hiring manager. Show confidence by keeping your posture, smiling, and making eye contact. When answering the questions, use your previous work experience for examples. You should try to breathe and relax without fidgeting. At the conclusion of the interview, ask what the turn-around time is for a decision and don’t forget to thank the hiring manager for his or her time.